Just when we were complaining that Nike haven’t launched any new colourways in a while – 2 come at once! 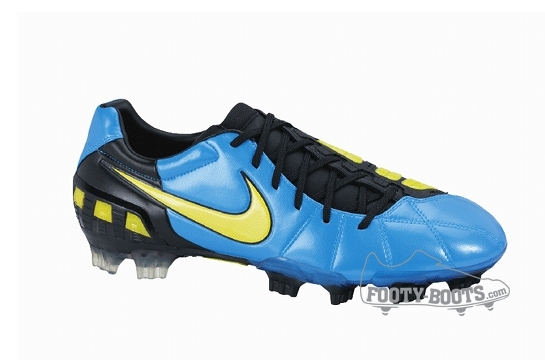 For the T90 Laser III, is this incredible Neptune Blue/Vibrant Yellow/Black colourway. 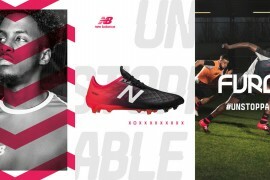 We’ve not seen such a bright blue used as the main colour for a football boot in a long while, and it’s certainly eye-catching! Coupled with the Yellow in the silicon pods, we think this T90 Laser III kind of makes it look like a toy -not in a bad way though, if there’s a boot that would look better in the bright summer sunshine we’re yet to see it! 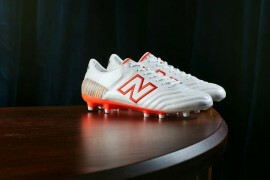 Also, we’d put money on Rooney already earmarked these football boots to match his Manchester United away kit perfectly! 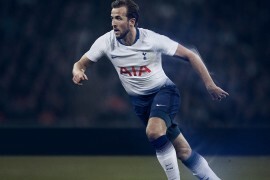 Thanks to Nike for the excellent images! What do you think of this new colourway? 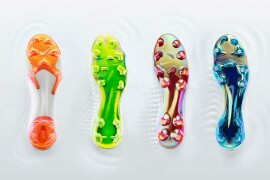 Stunning or would you rather Nike brought out some more ‘serious’ colours? 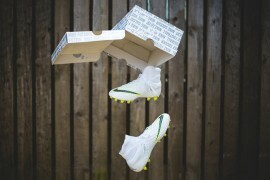 Follow us on Twitter where we’ll be posting more images of the boot in action over the weekend! Nice Colourway…The best one yet! Ummmm I don’t know if you noticed but most of the K-Leather versions have a more subtle colour than these. Colours like white or black are more used in K-Leather versions. These won’t be releasing in K-leather in this color. The next K-leather color is black with grey nubbies and red accents on the rest of the boot and the pods. BTW i also love the maestri’s new outfit. 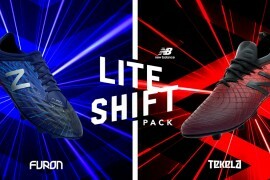 That’s right… the next colour in k-leather is black/silver/red and is used by evra vs. Liverpool… Rooney’s useing te blue ones… Do anybody know when these are due to be availble for pre-order.? nice boots… hate the shape of the studs. cele mai smechere sa moara satana are net daca va mint !